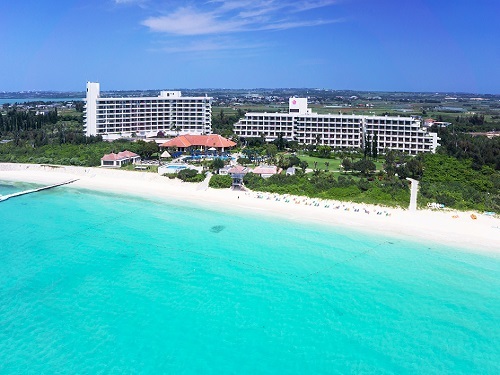 Miyakojima Tokyu Hotel & Resorts is located on Yonaha Maehama beach, a top class white sandy beach in Okinawa and one of the most beautiful beaches in the world. You can enjoy all kinds of marine sports and field sports. 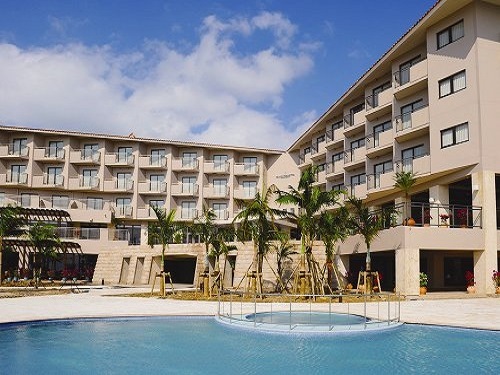 Situated on the Busena-zaki cape of Okinawa's Nago City, surrounded by ocean on three sides and home to Okinawa Underwater Park, this is a high class, extended-stay resort hotel. Hotel is located 5 minutes’ walk from Monorail Asahibashi Station and good access to Kokusai-dori Street. It is the high grade Biz hotel and suitable for both business and sightseeing. Please spend relaxing and comfortable time. 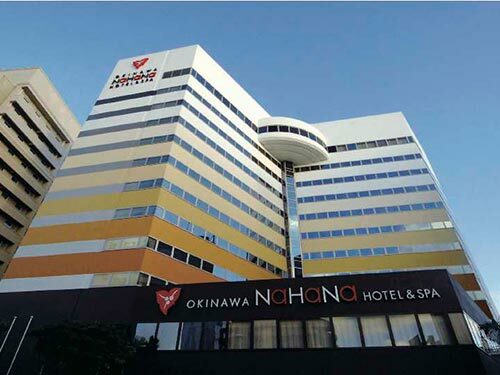 A city resort hotel to enjoy the tropical sunlight, spa and shopping at the Duty-free shop or at Kokusai-dori street. You can spend comfortable and relaxing time with an aroma of bougainvillea. Rizzan Sea-Park Hotel Tancha Bay is located in Okinawa Kaigan Quasi National Park and one of the biggest resort hotels in Okinawa. The front of the hotel is the natural beach which is sprawling 800 meters with the emerald green sea. 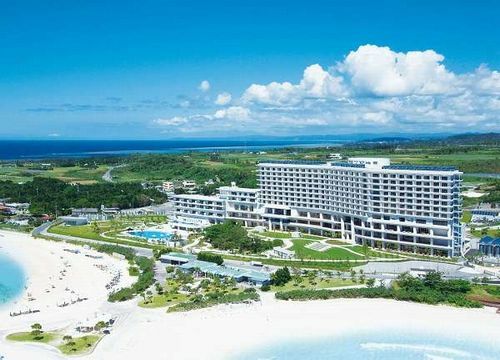 Kanucha Bay Hotel & Villas Resort is situated on the east coast of Okinawa Main Island with own golf course, pool, and private beach. It exists in the vast site surrounded by Yamahara's rich and fresh nature and beautiful Oura bay. Hotel Breeze Bay Marina is a European-style resort located in the German Village. In addition to the elegance of the hotel that mimics a luxury liner, the hotel is popular for being very attentive to guests. 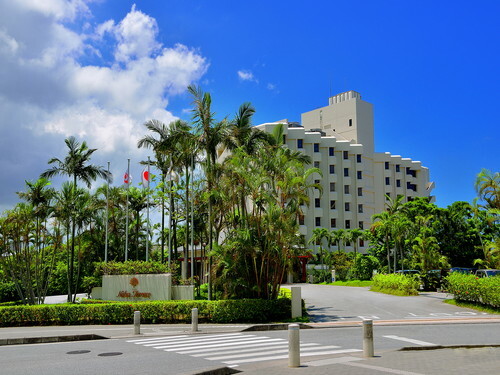 The first luxurious resort hotel of Hotel Monterey with the theme of "British Colonial", located in the west coast of Okinawa, facing "Tiger Beach" in Onnason. All the guest rooms have the ocean view. 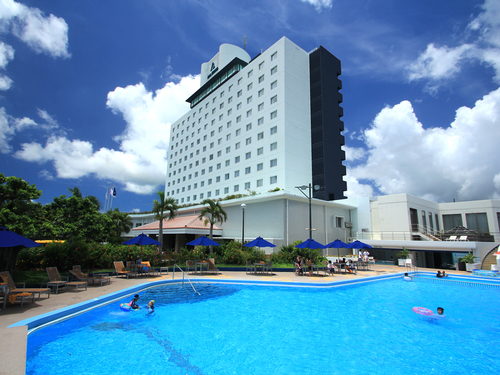 Hotel Nikko Alivila is the upscale resort hotel with an emphasis on privacy. The appearance of the hotel is Spanish colonial style with red tile roof and white walls, and reflected on the blue sea of Okinawa. The hotel name is based on the Spanish word. This is the place where you feel comfortable to stay with the Asian modern interior. It is a casual and stylish hotel. 2 minutes walk from Yui Rail Kencho-mae station, Prefectural office is in our front and located at the entrance of Kokusai-dori, the main street. 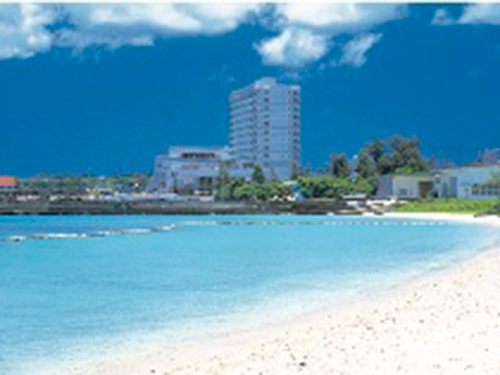 Our concept is the high quality of Okinawa, and we welcome the guests with heartfelt hospitality. 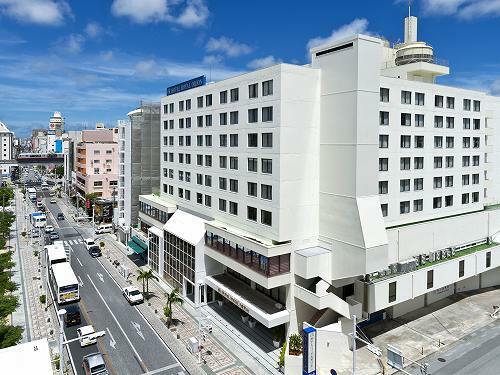 20 minutes drive from Naha Airport, located on the "Kokusai-dori street" at the center of Naha city. 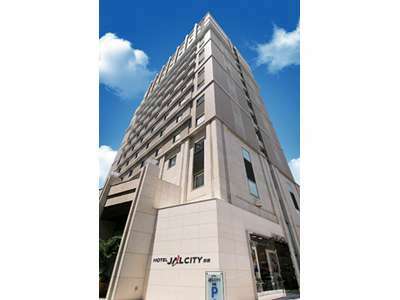 A very convenient city hotel for business and sightseeing. 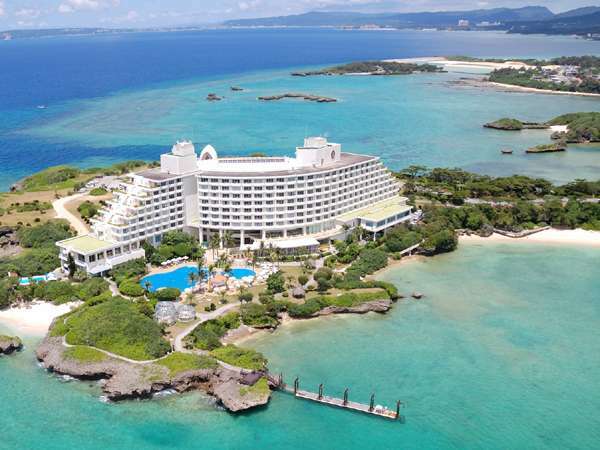 At Hotel Atollemerald Miyakojima, all rooms are blessed with the view of the ocean. It is a 2 minutes walk to the marina and 5 minutes walk to the beach, where you can enjoy various marine sports. It is also equipped with various banquet rooms. Hotel Moon Beach is a resort hotel with the best location of its half-moon shaped white sand beach and　Nap the desert island. 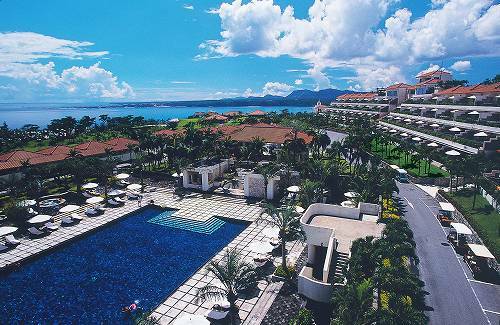 It is the nature centered resort hotel where you can enjoy marine sports and relaxing time. Okinawa Zanpamisaki Royal Hotel is situated at the Zanpa Cape - the westernmost point of the main island of Okinawa where nature, history and culture co-exist. The beach offers scuba diving, snorkeling and other marine sports. 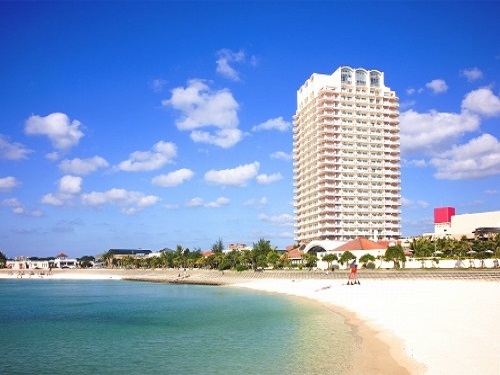 The Beach Tower Okinawa is 24 storied tower building and provides the supreme views of the ocean. 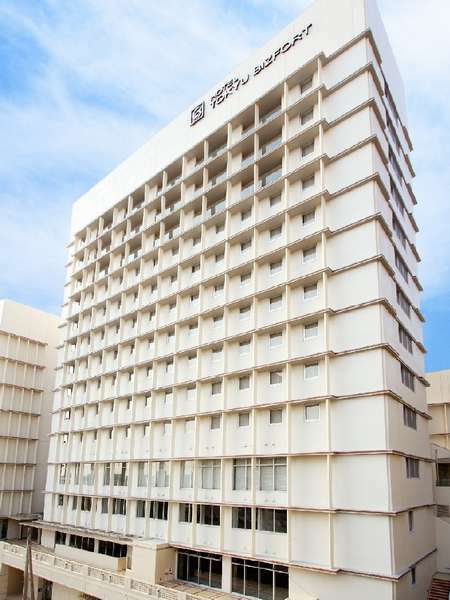 The hotel features many types of rooms for business traveler and family guests. 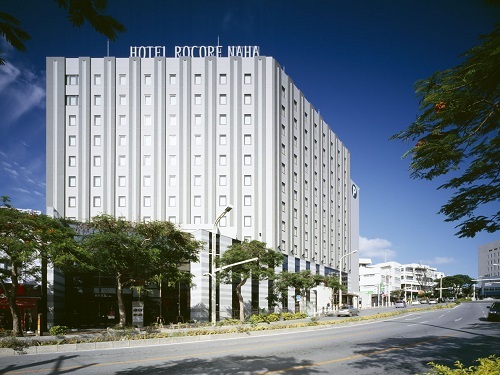 It is easily accessed only 40 minutes drive from Naha Airport. 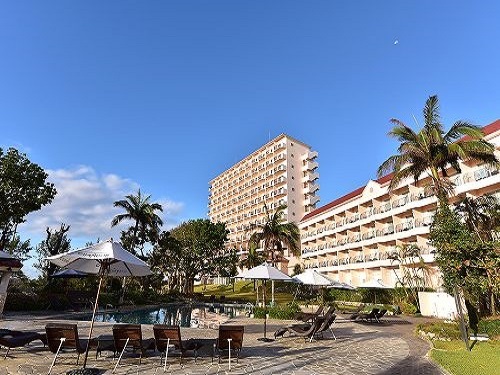 Although we are located in the heart of Naha City, our simple and relaxing interior full of natural light and breezes greets you with a feeling of luxury. 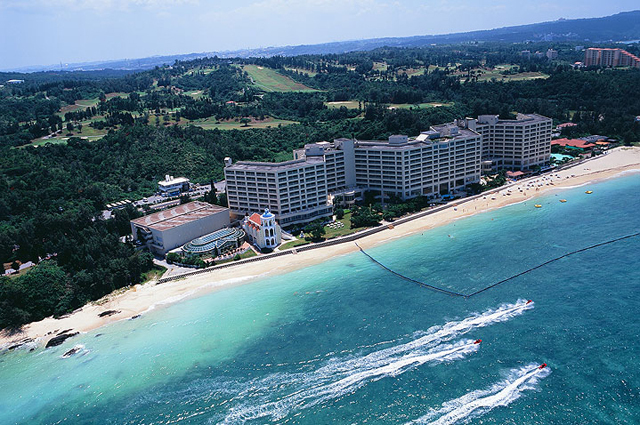 Located in Okinawa Coastal Semi-national Park, ANA InterContinantal Manza Beach Resort is at the end of the cape and surrounded by coral reef. 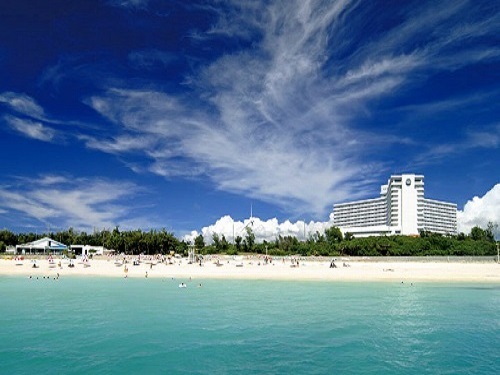 The hotel has the site of 140,000 square meter and 500 meter long private white sand beach. 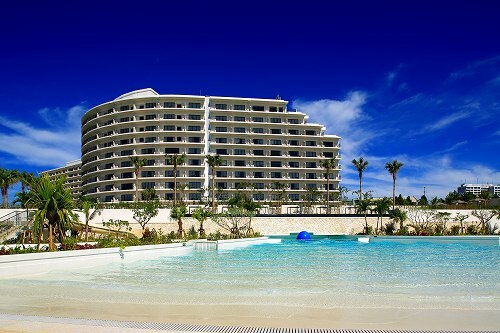 The Atta Terrace Club Towers is a resort hotel for adults that is standing in the forest of Onna, in the mainland Okinawa. All the rooms are spacious and relaxing interior. 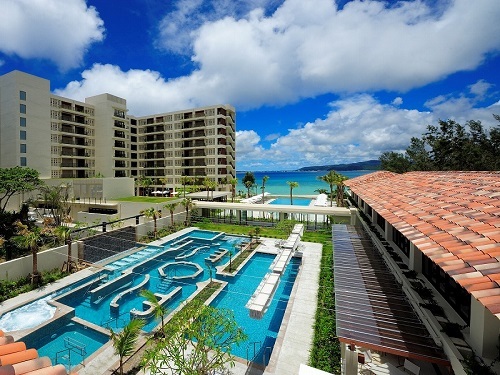 The Terrace Club at Busena is a new paradise surrounded by the blue and clear ocean of Okinawa, located at beautiful landscape of subtropical Busena Cape-zaki. It offers the luxurious space and elegant hospitality. 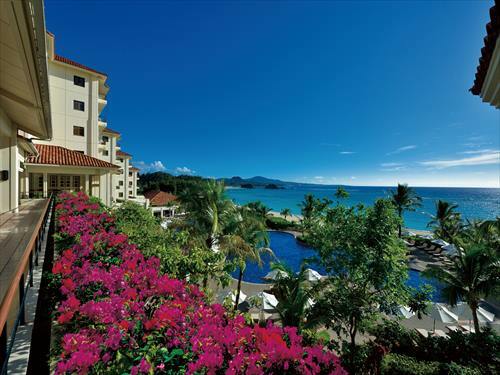 The hotel is composed of two buildings, Club-wing with only suite rooms and Ocean-wing for enjoying resort life. 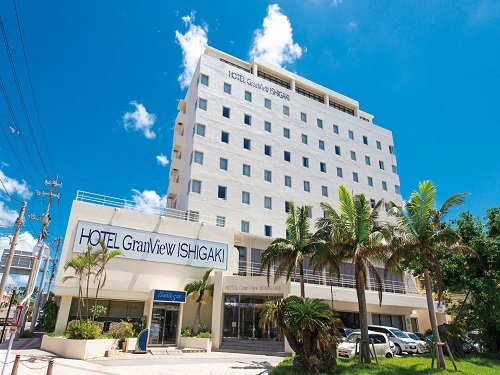 All guest rooms have ocean view of the East China Sea and Iejima island. The restaurant of counter style serves Okinawa specialty dishes.